The entire Juniata community is excited to welcome you. Even though your official arrival to campus starts with Summer Orientation in June, the campus community of faculty, staff and students is preparing for your arrival now. 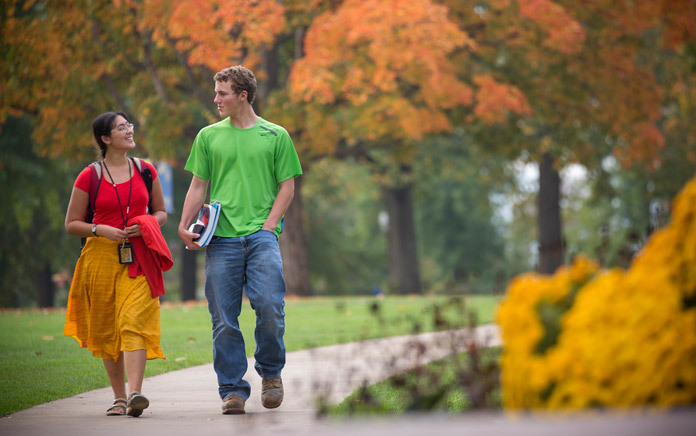 This page contains everything you need to know about getting started at Juniata. We encourage you to keep this information nearby and use it as a guide to complete all the tasks necessary for your enrollment. Feel free to contact your admission counselor with any questions, or for help with your college choice! Haven't paid your matriculation deposit yet? Deposit now! When your $400 deposit is received and processed, you can register online for the New Student Orientation at www.juniata.edu/orientation. Registration opens on May 1st! Meet your classmates and upperclassmen by participating in one of 17 different inbound retreats. Juniata will be your new home for the next four years. Let us help you get ready to live on campus by viewing your housing options. Need to know what to bring? Feel free to contact the Office of Residential Life with other questions! If you are applying for need-based financial aid, you must submit the Free Application for Federal Student Aid (FAFSA). The suggested filing deadline is November 15, 2018. You can obtain all the information at www.fafsa.ed.gov. If you have questions about completing the FAFSA, a particular question on the FAFSA, or just general questions, please call the Office of Student Financial Planning. Juniata’s code number for the FAFSA is 003279. If you visited Juniata during your junior year or early last fall, you may want to schedule a second visit to take a closer look and meet our students and faculty. You can schedule an individual visit and tailor your day to meet your specific interests. Details are at www.juniata.edu/admission/campus-visit/index. Keep in mind that the Accepted Student Open Houses are scheduled for February 22nd, 2019, April 5th, 2019 and April 13th, 2019. If you have questions concerning your financial aid award, call your personal enrollment counselor or the Office of Student Financial Planning after receiving your financial planning award. Congratulations! You have made your final decision. Please return the enclosed form with your final decision. If Juniata College is your final choice, please include the $400 deposit. You may also pay your deposit online at apply.juniata.edu/apply/status. Don’t forget to contact all the colleges which you’ve been admitted and let them know of your choice prior to the date. You may want to consider depositing early since housing assignments are made based on when deposits are received.